Professor Preview is an introduction to BFREE Field Courses for instructors interested in bringing student groups to the small country of Belize. During this guided preview, participants will: be exposed to a sampling of activities that may occur during a field course, meet many of the staff who will implement the courses, and visit partner locations. 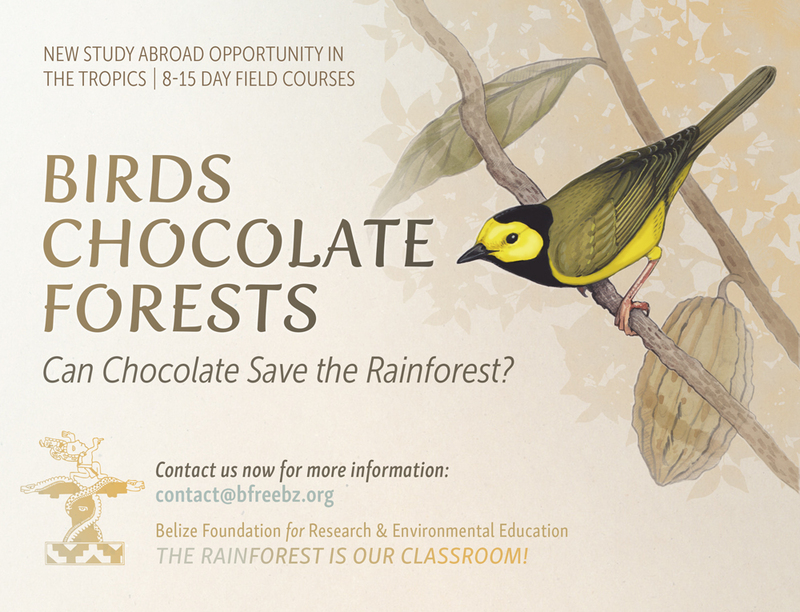 Additionally, professors will be introduced to Birds, Chocolate, Forests, BFREE’s newest field course offering. Please contact us now to schedule your Professor Preview Excursion for 2019. There are many dates available in order to fit your availability. Please contact us directly to discuss your desired timeline. Itineraries will be built to fit your specific interests, curriculum, and availability. Below is just a sample of what could be included in a 4 night/5 day stay. Please contact Tyler to create your own unique offering. Day 1: Arrive at Belize International Airport, then travel to the Tropical Education Center. Spend the evening receiving an introduction to Belize and a night tour of the Belize Zoo. Overnight at TEC. Day 2: Travel south towards the BFREE Field Station. Meet BFREE program staff and settle into accommodations. Full orientation and introduction to student programs. View one of our natural wildlife documentaries followed by a night hike. Overnight at BFREE Field Station. Day 3: Full BFREE orientation and tour of the facilities. 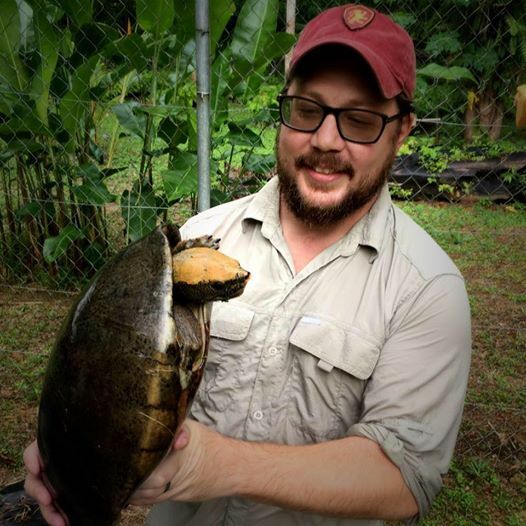 Visit the Hicatee Conservation and Research Center (HCRC), home to the critically endangered river turtle, and BFREE’s cacao agroforest. A night hike and discussion on preparatory readings and other materials for students. Overnight at BFREE Field Station. Day 4: Depart BFREE Field Station and spend the final night in the small coastal town of Placencia to learn about the marine component of a BFREE field course. Wrap up/ Q&A. Overnight in Placencia. Day 5: Depart Placencia for travel to the International airport. We look forward to hearing from you. Contact us now for more information.